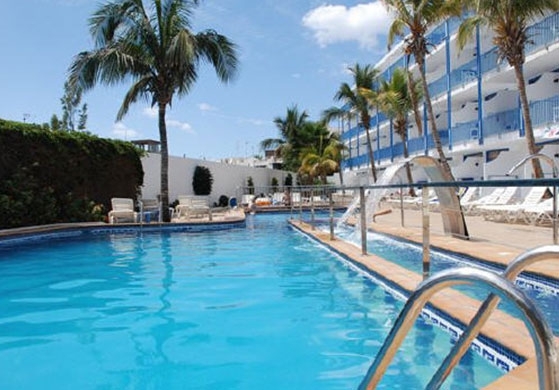 The Costa Volcán Apartments are at the historic centre of Puerto del Carmen. They are located very near to the coast, just 200 metres from the beach, and to the airport, just 6 kilometres away. Near to the complex there are also the main leisure areas, with shops and restaurants of all types. 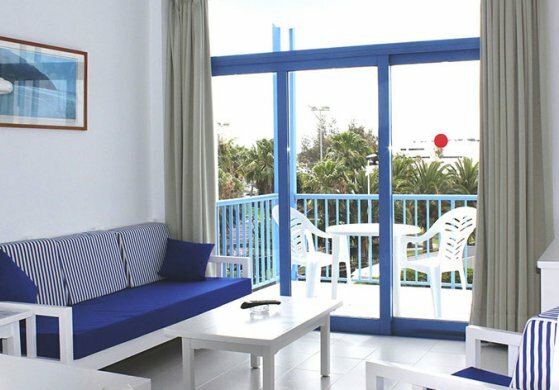 The Costa Volcán Apartments are the best rental option for enjoying a great holiday in the area of Lanzarote. Staying in an apartment has always been an intelligent option wherever you travel, whether as a couple, with friends, or with family. At Orly Club we have always recognised this need, and therefore we offer select holiday accommodation on the island. We have over 20 years of experience in the sector, guaranteeing quality of service, and allow visitors to choose between different options to find accommodation which meets their preferences and needs. This aparthotel complex is made up of a total of 90 rooms, set out over four floors. All apartments are large and bright, with a lot of natural light, and equipped with a full kitchen, living room, double bedroom and private terrace. 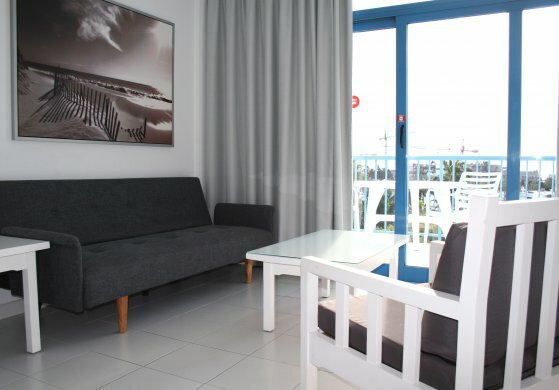 The decoration exudes happiness and brightness, just as Lanzarote does itself. 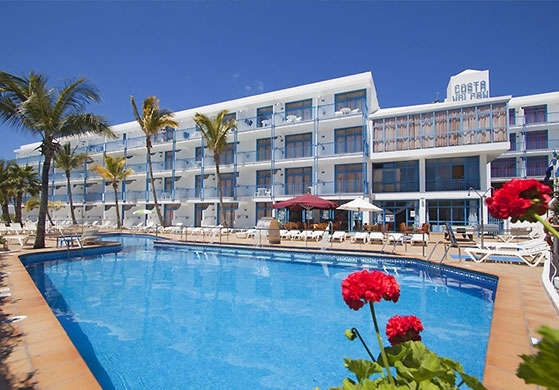 The Costa Volcán Apartments have all kinds of services: swimming pool, sauna and spa, including a comforting massage service, activities such as karaoke, and a casino, as well as a golf course 3 kilometres from the establishment, among many other options. At Costa Volcán we have not forgotten about children: children can play safely in the children’s swimming pool as well as in the play area. While they enjoy swimming or playing, adults can relax with an aperitif on the terrace of the snack bar. Renting one of our apartments, you will not have to worry about parking, as there is a free car park nearby. There will also be no problem connecting to the internet, as all communal areas have a Wi-Fi connection. They say that you must not go to Lanzarote without visiting Puerto del Carmen. Since the end of the 1960s this area has continuously attracted tourists from all parts of Europe. It is located in the centre-south of the island, specifically in the municipality of Tías, and its various beaches are set out over 7 kilometres of the coast. Puerto del Carmen offers much more than calm waters and an unbeatable natural environment and climate; it also has rich gastronomy, traditions and folklore. If you want to escape your routine, disconnect and enjoy an island of contrasts, Puerto del Carmen in Lanzarote is the destination for you. 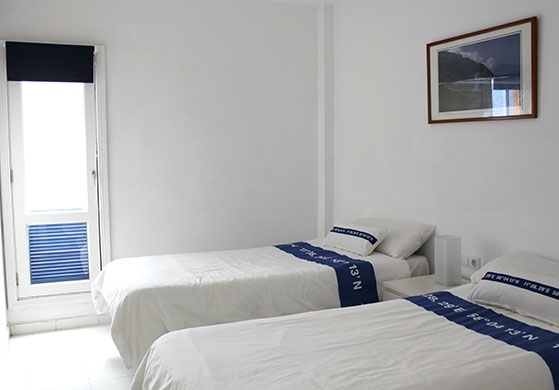 If you want to stay in a complex in which price does not mean giving up quality, the Costa Volcán Apartments are your best rental option for a holiday as a couple or as a family!